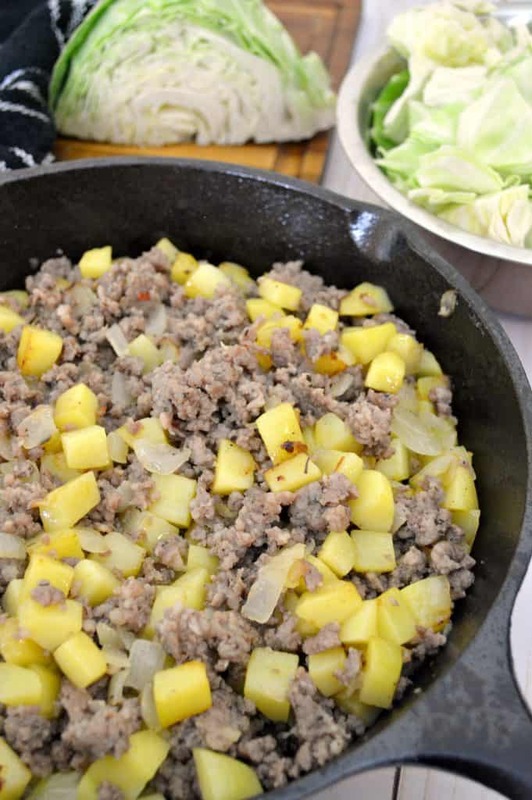 This quick and easy to make sausage & cabbage potato hash is a classic recipe that can be served for breakfast, brunch and even dinner! 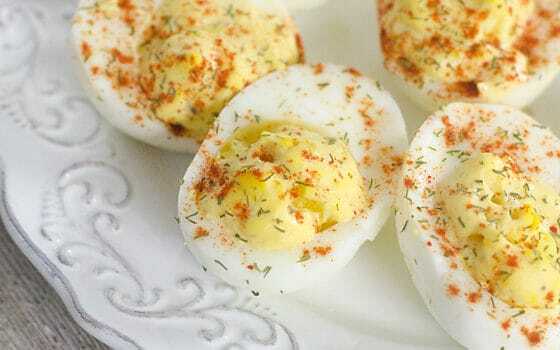 Serve on its own, over cauliflower rice or with a fried egg! Potato hash is one of those recipes that just about everyone loves, it’s so easy to cutomize. You can add mushrooms, red and green peppers, or maybe wrap it up in a tortilla! It’s definitely a filling breakfast that’s great to serve to an unexpected holiday guest. 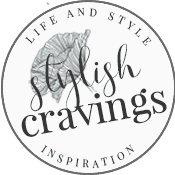 Want to make it low carb? Skip the potatoes and add chopped cauliflower! The main star of this delicious hearty meal is of course the tasty sausage! 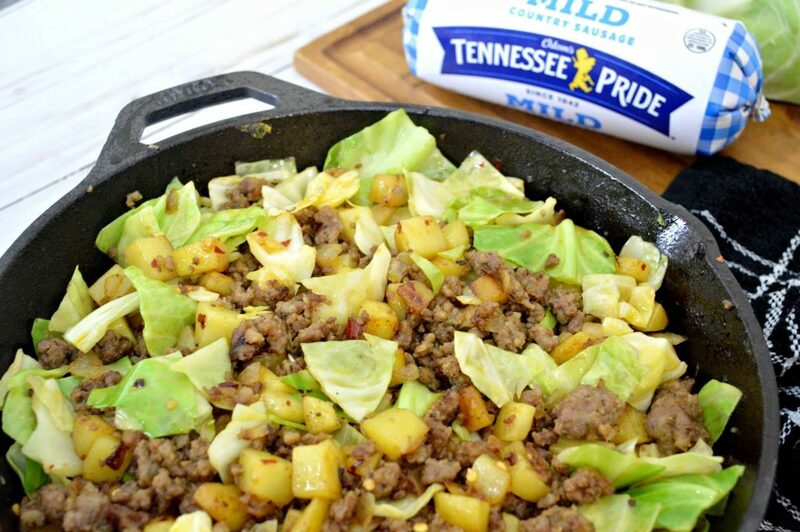 I used Odom’s Tennessee Pride Mild Country Sausage that’s available at your local Walmart. 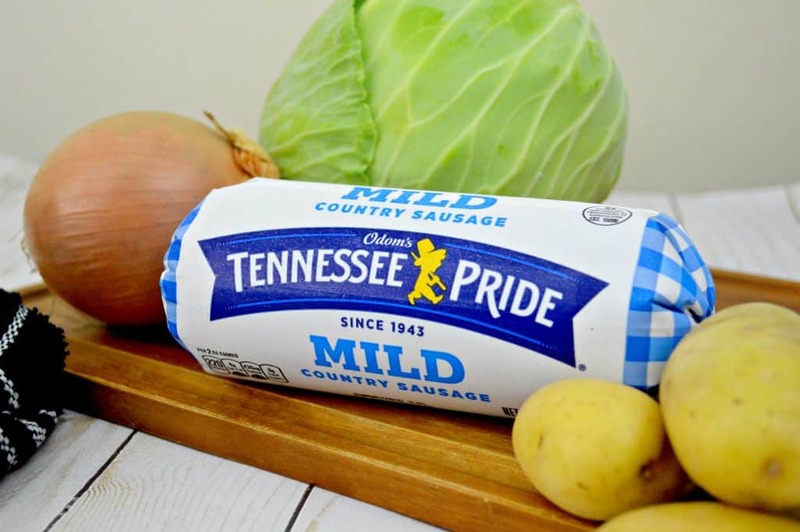 Odom’s Tennessee Pride has several flavorful varieties, like Odom’s Hot Country Sausage & their Sage Country Sausage. 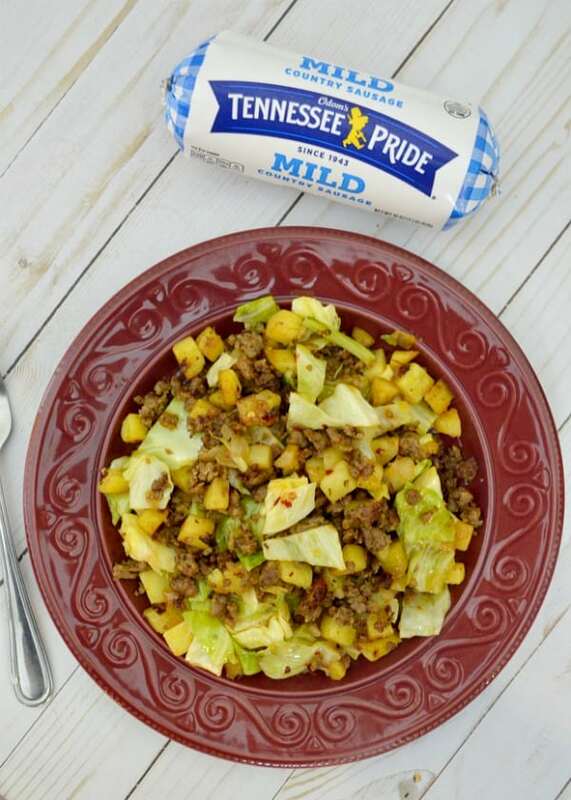 Odom’s Tennessee Pride Mild Country Sausage can be used in many ways, from traditional breakfast dishes to unique appetizers, lunches and even dinners! For this sausage potato hash I decided to add cabbage. I’ve been using it in a ton of recipes and I love the crunch it adds to the hash. To give the hash recipe a kick and some color, I also added a dash of paprika and tossed it in red pepper flakes. 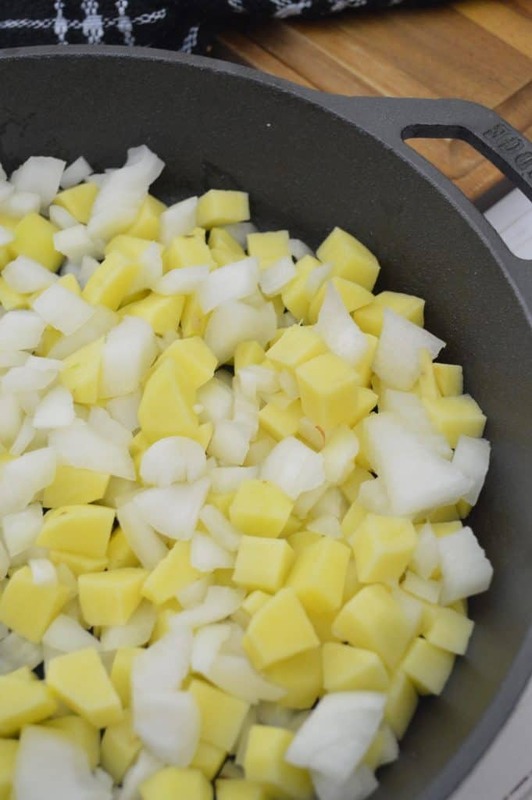 Cook potatoes and onions until soft. 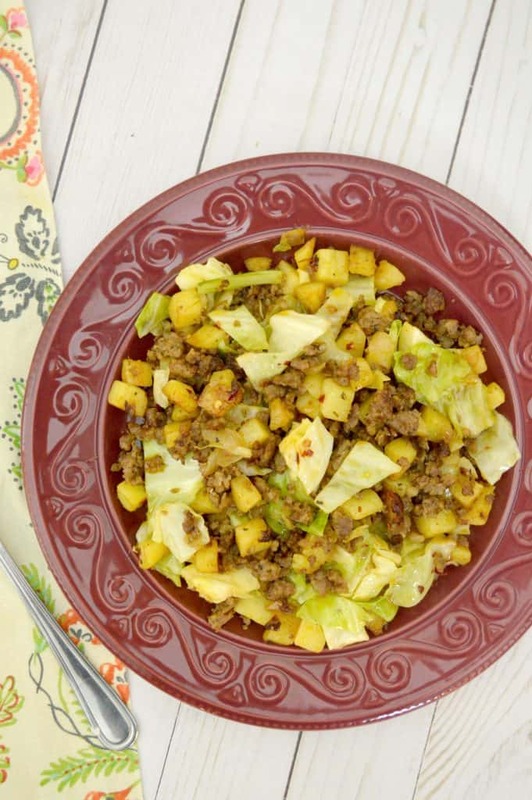 Toss in cabbage and cook until slighted wilted and then add in paprika and red pepper flakes. 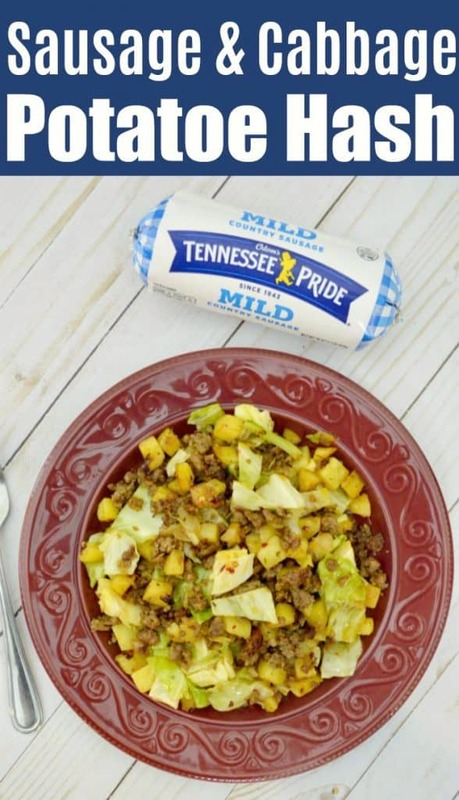 Order Odom’s Tennessee Pride Mild Country Sausage and all the ingredients for this sausage potato hash via Walmart Pick Up! I love how convenient shopping at Walmart is. 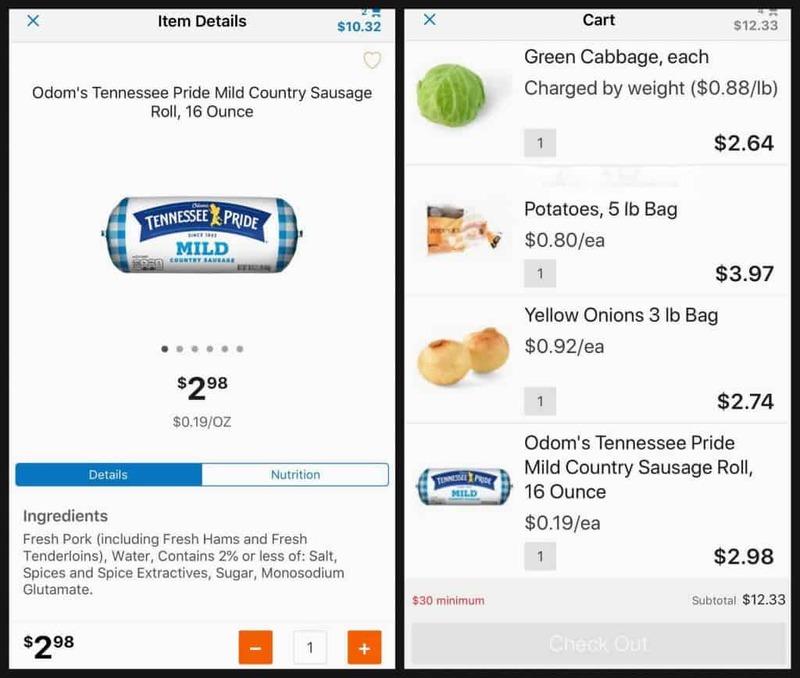 You simply order and pay online and your groceries get brought to your car via their Online Grocery Pickup Service. 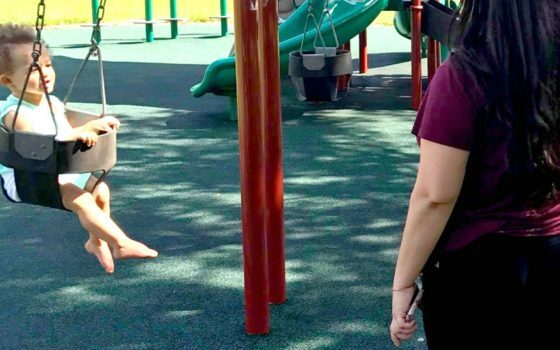 It’s been a big help for our busy household!